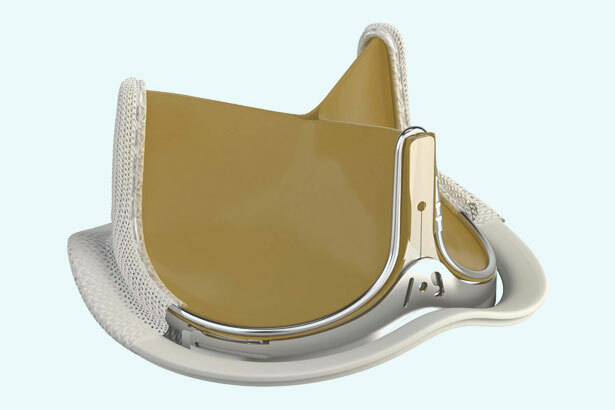 June 27, 2018 – Surgeons at Englewood Health performed the first INSPIRIS implant for aortic valve replacement in New Jersey, following U.S. Food and Drug Administration (FDA) approval for the valve, which is made by Edwards Lifesciences Corporation, a patient-focused medical innovator for structural heart disease. The artificial valve is made of pericardial tissue from cows and has two distinct advantages. First, early indicators show anti-calcification properties will make it more durable and longer lasting than existing valves. Second, the valve’s frame has built-in joints, making it expandable and facilitating any future re-replacement that may be necessary; through a minimally invasive or percutaneous procedure, a larger valve can be placed inside the deteriorating valve. Englewood Health’s first patient to receive the implant was a physically fit 53-year-old male who, aside from having a damaged aortic valve, was otherwise healthy. Englewood Health’s cardiothoracic surgery team, a leader in cardiac outcomes, clinical research and early adopters of the most beneficial treatment options for heart patients, is subsequently incorporating the INSPIRIS valve into its decision-making process when evaluating patients preoperatively. Dr. Arnofsky says this innovation is just one of many new and exciting cardiovascular advancements underway at Englewood Health. For more information, visit englewoodhealth.org/heart.